That's one heck of a Foursquare family reunion! Looking forward to hearing more notes on the Criterion. Admittedly it's a guess on the Samaroli, it's closer to Foursquare than Mt Gay, but I suppose it could be whomever makes Cockspur. I had some really small pours tonight to have a little context after the Criterion, 2004, Real McCoy Limited 12 and Samaroli 1998, if I had to chose at this moment I would probably take 2004, Criterio,n Samaroli and Real McCoy in that order the 2004 has more spice to it which made it stand out amongst the others. Probably unfair since the RM12 is 92 proof and the Samaroli is 90 and I had them after the higher proof 2004 and Criterion. Good grief, did TWCP sell out if it already? I tried to check how much they were charging but I don't see it on their site. Ya scared the heck outta me as I'm finally catching up my reading here! This is on my list to get, was trying to spare the budget a bit though so hadn't pulled the trigger yet. I did just order a bottle from them, so they should still have it in stock. Looking forward to a taste later this week. Got a chance to try the Criterion at Tales last week along with a few other Foursquare (Triptych and the 2006 come to mind) and other delightful rums. Along with a few that were, umm, less delightful. Sorry about that! They were sold out when I posted my comment, or at least, it wasn't on their website. Perhaps they got a second shipment. I'm glad you were able to snag a bottle and am looking forward to reading your notes. 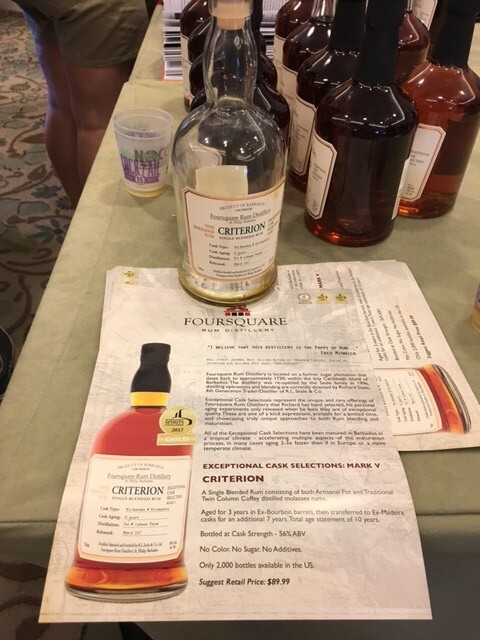 Got a chance to try the Criterion at Tales last week along with a few other Foursquare (Tryptich and the 2006 come to mind) and other delightful rums. Along with a few that were, umm, less delightful. Getting your money's worth I see! How would you rank the Tryptich, 2006, and Criterion? I don't Criterion has hit California yet. Well, I do rather like Madeira so that is no doubt an influence. Both Criterion and Triptych have a lot of Madeira influence in them. Had the Triptych and 2006 SBS and preferred the Triptych. Would love to have been able to do Criterion and Triptych SBS but wasn't possible. So going on memory and recognizing I had one or two (thousand...) other samples of all manner of odds and ends in between I would probably lean slightly towards the Triptych. Could have bought one in Paris (for a good bit more than the expected Criterion price) but I kind of regret passing it up now. 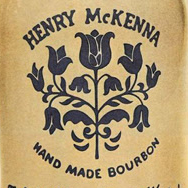 It is probably a touch older in average age and I think maybe that portion aged in Virgin American Oak give it that extra bit of character that made it really stand out. ^^^ Thanks for the notes above, Bruce! I have a feeling I won't get an opportunity to try the Triptych since it's not coming to the US (I don't think), but will keep an eye out for it in my travels. The Criterion will have to do for now. Speaking of which...Criterion is now in stock at K&L. I was tempted to buy all 32 bottles they had as Fred Minnick instructed, but limited myself to two. At the risk of thread drift, the cask strength and Port finish are available to me semi-locally. Either worth a flier? When you say cask strength, you mean the 2004? If so, I think that one is definitely worth the price (which is about $60 in my area). If you check out the "what rum are you drinking today" thread you'll see a lot of love for the 2004. I like both quite a bit (assuming the Cask Strength you speak of is 2004) admittedly I might like the 2004 more than the Criterion. Hard for me to judge without having them side by side given the heavy Madeira influence on the Criterion which makes it quiet different. But the 2004 is well worth picking up if you see it in my opinion. I will go with the forum standard response and say why not have both! Also, sounds like they're getting some more tomorrow. Sure did! Thanks for asking. I'll have to wait a week or so for the bottle to be transferred from their LA store to the SF store, but that's ok with me. I'm just happy to have gotten some. What was the price at K&L? $79.99 at K&L. Is that the same as TWCP? They originally posted it for around $65 but that was probably before they knew their cost. Good to know, not that K&L ships to NJ, I figured if it hits Mission at a lower price I might grab a second (since they do ship to NJ). I would imagine Astor will get it at some inflated price and I will ultimately rationalize a purchase there by not having to pay shipping. I recently got back into rum after a long hiatus. I have dipped back into my "dusties" and have acquired some new ones. I was disappointed by and large as everything was a syrupy sweet mess. I was about to give up until I had a pour of Foursquare 2004. Very impressed, too bad I missed out on their LE bottlings. Although I'm happy to drown my sorrows in a bottle of readily available R.L Seale 10 year which I find to be a great pour for $24. I really hope Minnick stops comparing Foursquare to Pappy as it would be nice to find some bottles of their LE's at retail. TWCP was 76.99, at least that's what i just paid when i picked up my bottle (and a Side Project Merci just sitting in the cooler!]. They are sold out again, sadly. Planning on opening tonight unless i spend too much time at the pool. Thanks for the report. Let us know how it is! I really hope Minnick stops comparing Foursquare to Pappy as it would be nice to find some bottles of their LE's at retail. Yes I think most of us share your sentiment. I also hope he stops encouraging people to clear the shelves of rum limited releases like he did with Criterion. Panic might be a bit strong. Foursquare is not that big to begin with and their limited releases have been gaining some warranted notoriety, especially in Europe, for some time now for those of us with a "rummy" inclination! It was pretty well known that Criterion was going to be limited from the beginning so as you note it was more of the buy on faith even if you hadn't tried it kind of buy based on the reputation it has already earned. Not unlike a BTAC or PHC. You don't always know it is going to be the best one they have produced but take the chance when you se it (if it is at least in the ball park of retail price in my case these days) because you know if you don't there is a good chance you won't get a second chance!